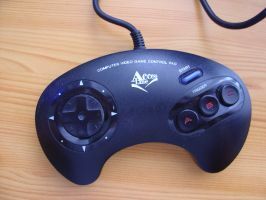 The joypad 3 buttons is the first one released with the Genesis. Later, the 6 buttons version came back. I'll do something similar for it in the future, I hope. 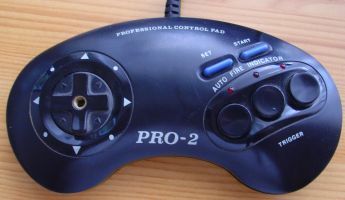 My goal here is the provide informations about how this joypad work. - ... let me know! 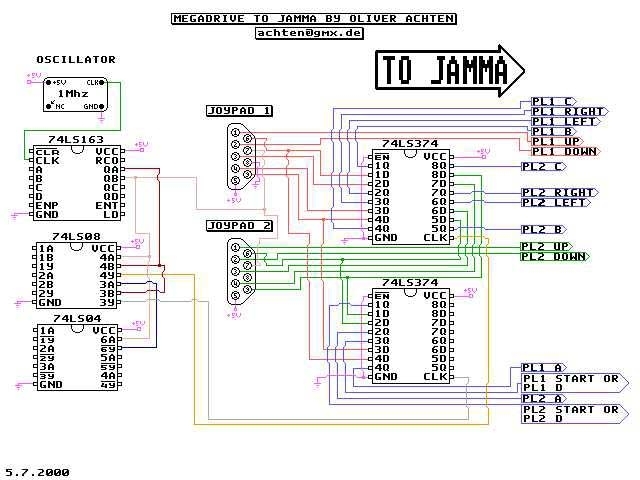 If you saw the schematic, you are now able to write the code to read the joypad status, no ? 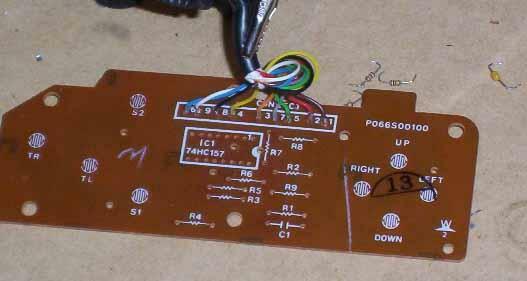 2/ If you read the datasheet of the 74LS157 which is inside the joypad, you read something about 'propagation delay'. 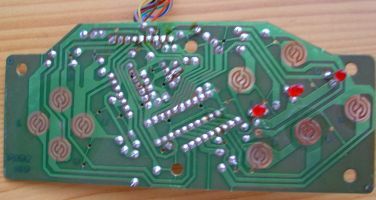 Don't ignore it and add some delays between read and write to the DATA port. 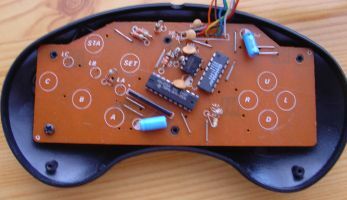 To convert the joypad to something else, I think you must, first of all, find a way to bypass the use of the SELECT line then convert the 2-pass call on 5 pins to a unique call to 8 pins.